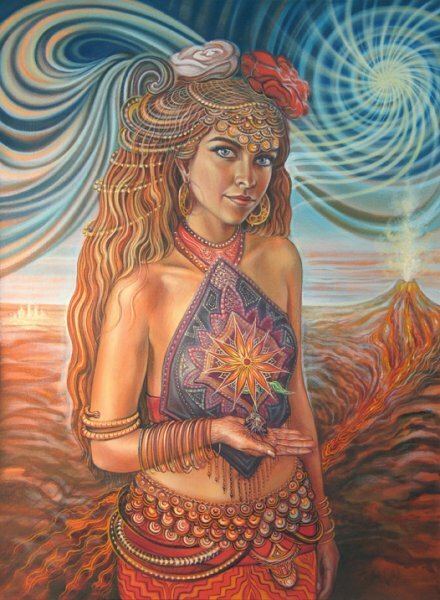 The Art of Amanda Sage - Blue Sky Design Company, Inc. Here at Blue Sky we are artists and students. We study truth and its' deep meaningful effect on our souls as well as the universe. 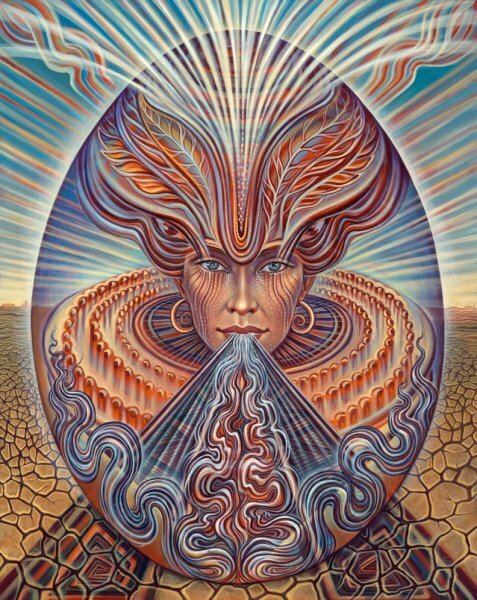 Amanda Sage shares that same sentiment. Her visionary pieces focus on the feminine mystique and collective unconsciousness of our world. Amanda hails from Denver, CO but has spent time all over the globe, currently practicing in Vienna. Though her main studio is based in Los Angeles, Amanda can be seen at live painting at music festivals and exhibiting her work in galleries with other visionary artists. 'Mars' is a beautiful display of a fierce goddess. The color and line work in the piece keep the eye moving throughout the image. This piece seems simple compared to Amanda's later work, yet still has the fundamental pieces that make 'Mars' very much her own. 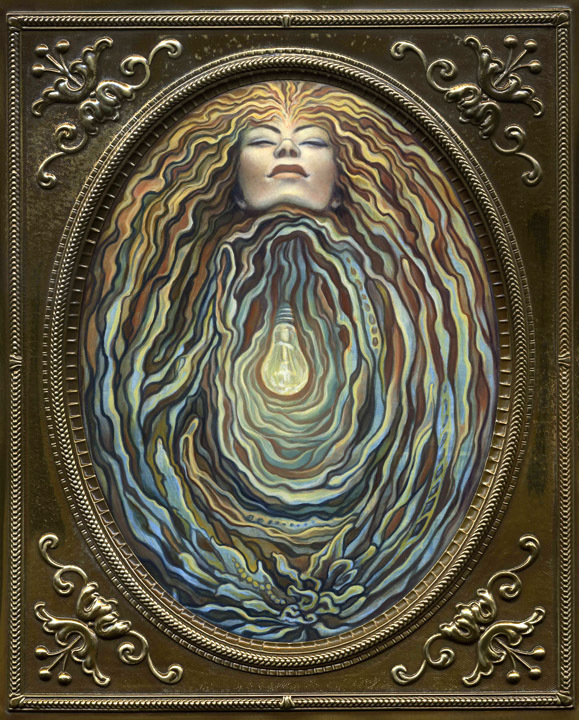 'Illuminance' is an impressionist piece that so beautifully captures the essence of a goddess. Her cascading rows of color once again keep the eye moving throughout the entire piece, constantly intrigued. 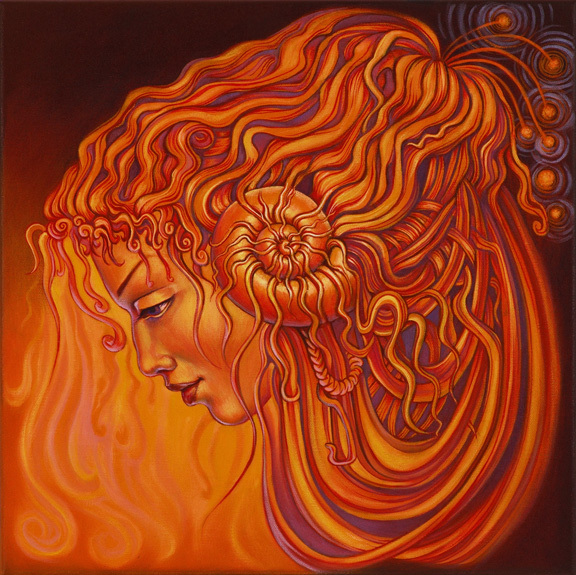 2010's 'Daughter of the Divine Flow' marks an exciting time. The previous two images (the first from 2008 and second from 2009) display beautiful craftsmanship and technique, but around the era of 'Daughter of the Divine Flow' it seems that Amanda really began combining and layering the techniques that make her so unique, in turn creating a much more resolved and mature body of work that we just can't get enough of. 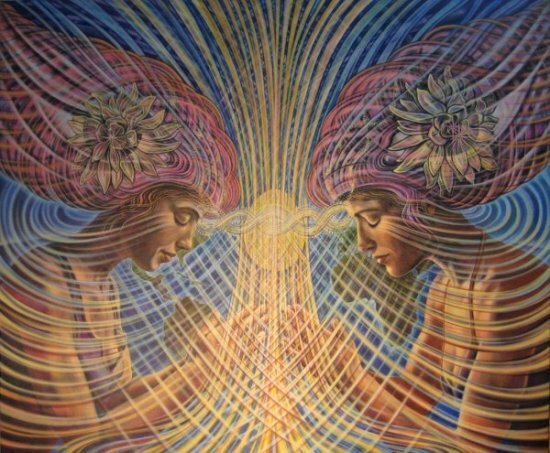 'Limbic Resonance' is a beautiful display of the force fields connecting us to ourselves, each other, and the universe. From the background of the planet all the way to the flowers in the woman's hair, every element is so carefully executed, making not only a piece that is aesthetically pleasing, but conceptually stimulating as well. 2012's 'Spirit' brings us to Amanda's most recent collection. We are reminded of so many different things when we view this piece. Most notably would be the Egyptian collar reference on the neck of the spirit, as well as the Black Rock City, Nevada landscape. We encourage you to check out her website here to view some more of her work. Make Art Not War!